Hexcan - Affiliate CPA network reviews and details. 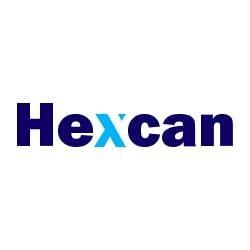 Hexcan is a premium mobile user acquisition platform focused on promoting mobile CPI campaigns. With a wide range of mobile CPI campaigns and large array of a different traffic channels, we’re always keen to bring you quality installs with solid user retention rate and high user engagement. Our team of experienced managers will provide full support, both for our publishers and advertisers to be sure that our cooperation will be profitable and successful! How can i earn.? i am not getting how to use Hexcan. There is a huge variety of offers with the best payout rates. Nothing much to say, I am quite satisfied with it - 5/5. There is no doubt, that it's the best network. Very creative and helpful team. These guys are crazy professionals. Hexcan - is the first platform I started using. Very friendly people. Payments are always in time. I am planing to continue to work with them. Great converting offers . Fast response of support, convenient and modern site. Professional support and good offers. What else do you need to work with an affiliate network? Hexcan is full of anything you might wish for. They helped me to start my career. Always so helpful. Hexcan have very good offers, in my opinion, one of the best in the business. I hope we can cooperate further.